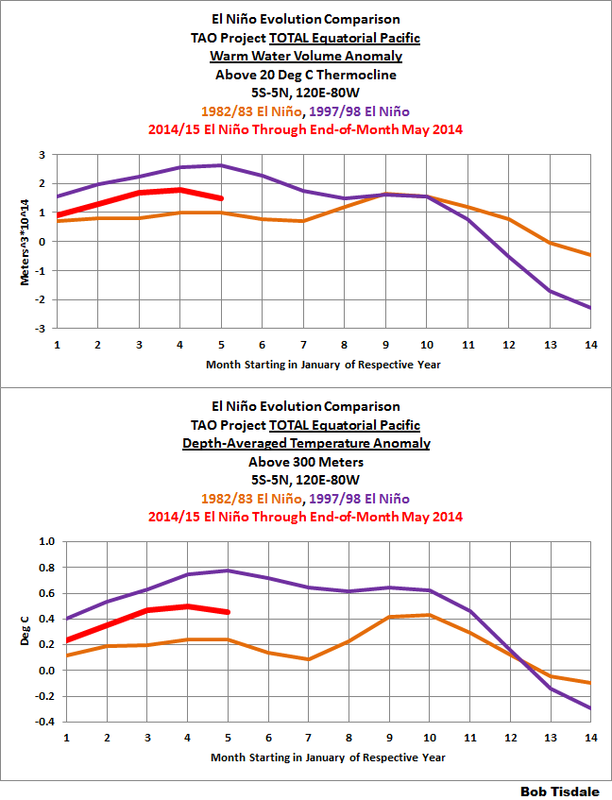 This post provides an update on the progress of the early evolution of the 2014/15 El Niño with data through the end of May 2014. The post is similar in layout to the May update. The post includes 5 gif animations and 16 illustrations so the post might take a few moments to load on your browser. Please click on the illustrations and animations to enlarge them. Thanks Bob. Excellent presentation as always. Thanks, Bob. This is a very good post. The new information here, in graphics and animations is superb. The Monterey Naval Research Lab’s animation seems to be predicting a rather sudden SST cooling due west of the Galapagos Islands around about now. (Grren coloured swirls) I wonder if this is the beginning of the end of this little El Nino – and the first whiff of the La Nina to come? 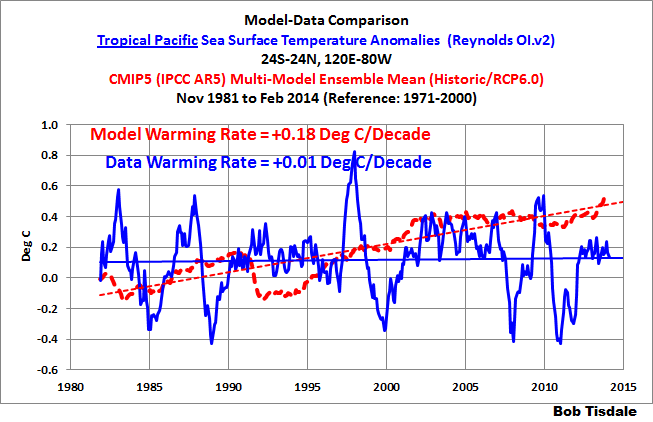 Keep in mind, the animation is of sea surface temperatures, not anomalies, and that there is a very strong seasonal component to the temperature variations there. 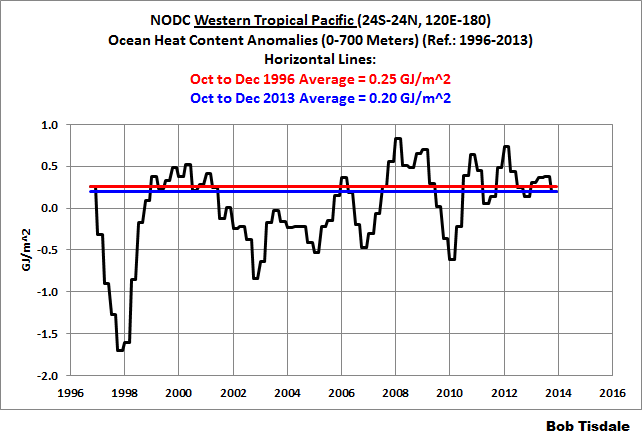 But I’m beginning to think it would be much more interesting to see what the warmists would do if this El Nino were to depart before it really got started. 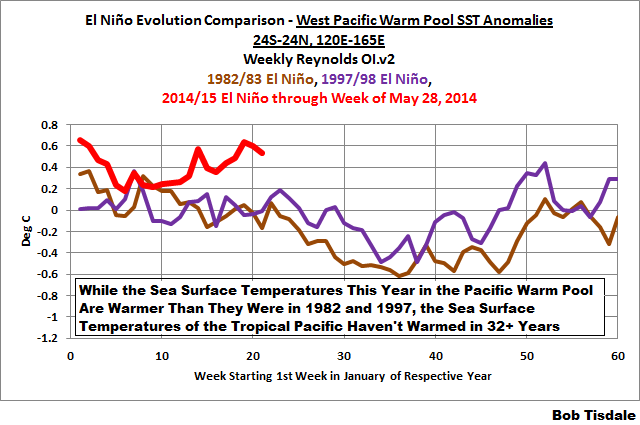 It looks like this particular Kelvin wave has almost run its course, so that may be that so far as this Nino goes. 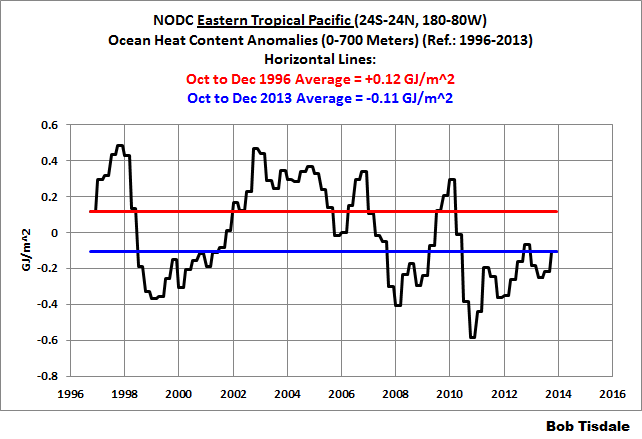 I do wonder whether the raised wind stress anomalies in the eastern Indian Ocean in Figure 10 are significant? 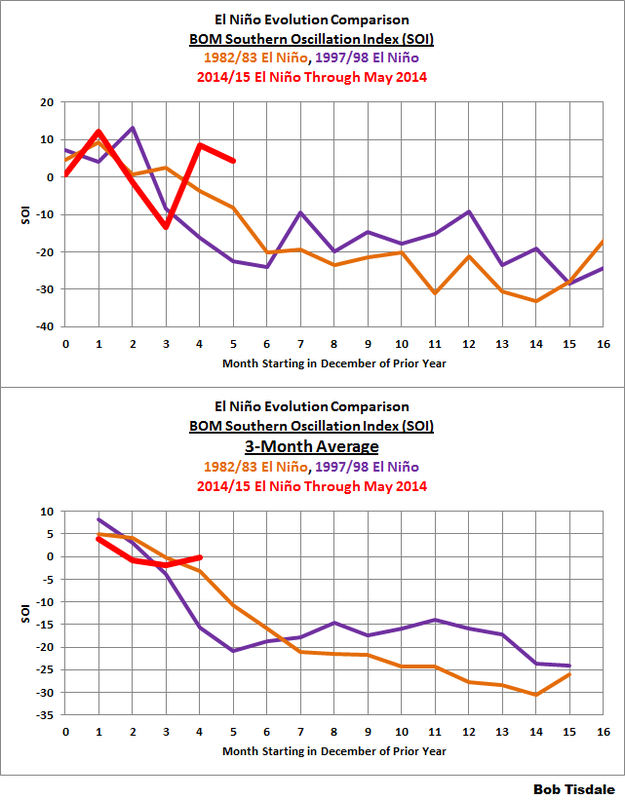 I notice that similar anomalies occurred in May/June in 1997 and 1982, so there could be a bit more fuel to come for this year’s event. 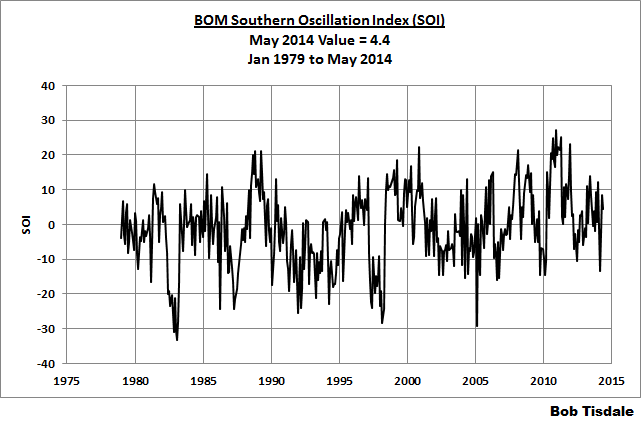 This particular anomaly doesn’t appear to be as strong as 1982 and 1997 though. 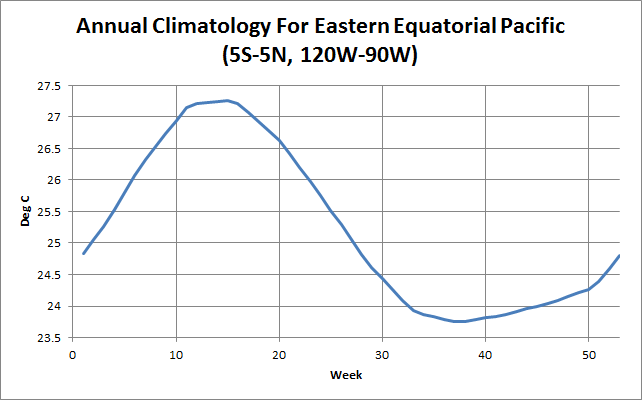 The other area of interest is how there are raised anomalies in the equatorial Atlantic. During the recent Ninas I noticed there appeared to be a cold tongue stretching out from the African coast. 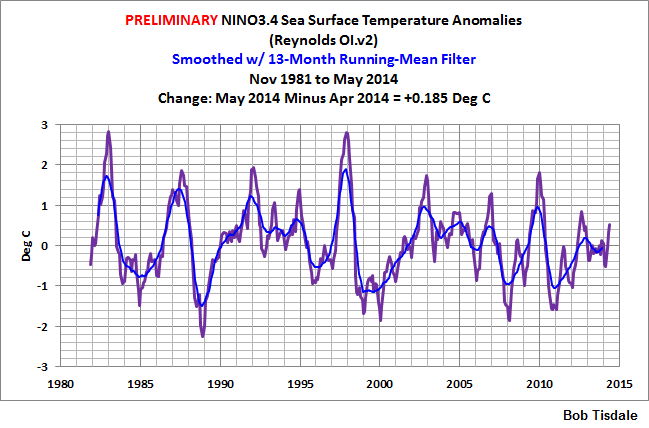 Now there are positive anomalies there during this Nino. What would be the physical connection here, assuming there is one? 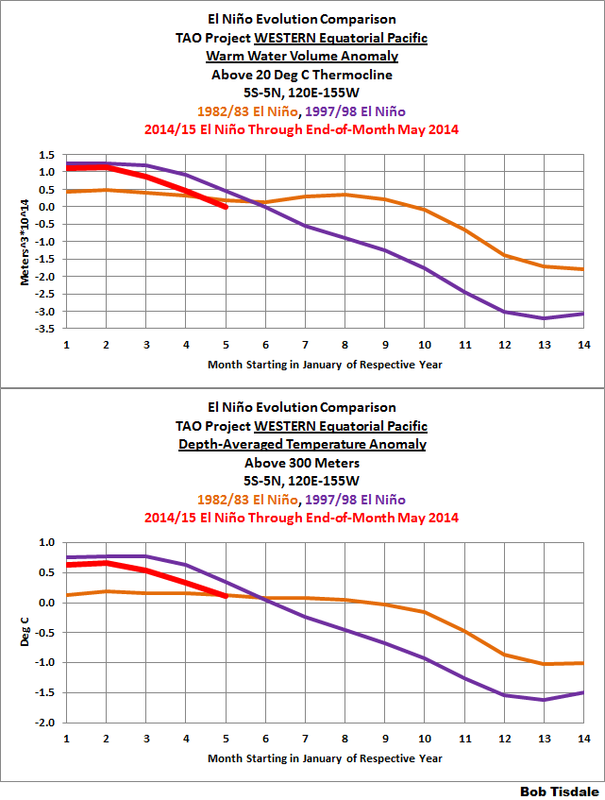 Trade wind slackening resulting in a lessened conveyor belt of convection/storms and more sunlight? 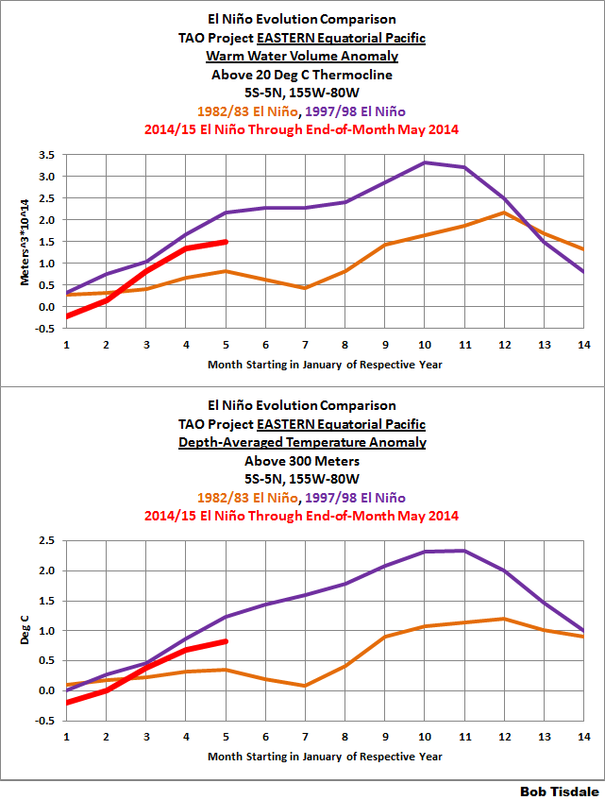 Keith, part of me would love this El Nino to collapse but I’m not sure that’s going to happen. 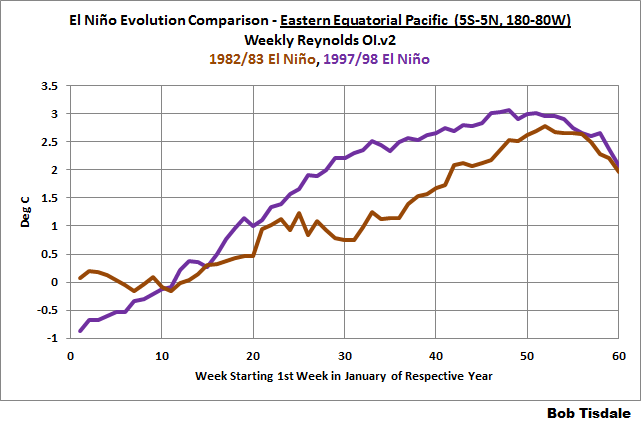 Sorry, I don’t pay much attention to the Atlantic El Nino, because it has such a limited impact on global temperatures…nothing like the response to an El Nino in the Pacific. But there are a number of papers about it. 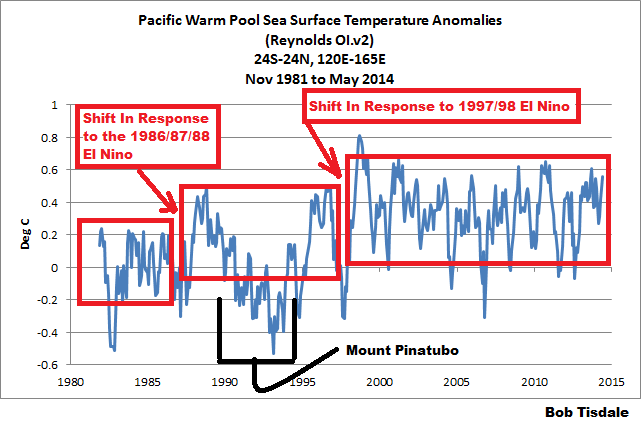 Pingback: NOAA reaches out to the blogosphere | Watts Up With That?